This is the trailer for the tv movie remake of the original. This version does keep some of the aspects of the novel that were left out of the 1976 version. It is made-for-tv and was shot on mini DV cameras, which means that the movie looks really bad. It is also a pretty bad film as well. Here we are given the trailer for the sequel to the original film. I have not seen this film since it was released by in the late 90s, but watching this trailer brought back memories of seeing it played in front of every film I went to leading up to the film’s release. This is the remake that starred Chole Grace Moretz and Julianne Moore. This was an unnecessary remake that brought nothing new to the table. There was a petition a year or so ago that called for MGM and Fox to release an extended cut of the film that is supposed to be more in line with the book rather than being a straight retelling of the 1976 film. I didn’t like this film, but would be willing to give it a chance if an extended cut was released. This is a new interview with the screenwriter, Lawrence Cohen. He gives us a very detailed telling of the history of the film. He fell in love with the book when he read it in galley form. He had a hard time convincing a studio to make it and once Brian De Palma was on board he knew the film was finally getting made. He also talks about the musical, which I had no idea existed. Cohen tells the story of getting Carrie made with ease. His is one of the only new interviews included on this disc that didn’t grow stale as it was being told. Cohen knows how to weave a story and does so very well. This interview is really good. This is a new interview with Director of Photography Mario Tosi. 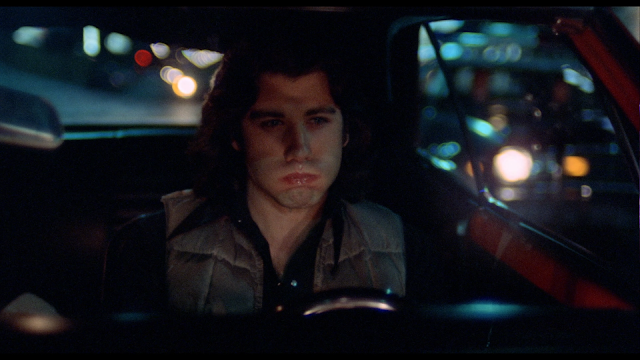 He talks about working with De Palma and adapting to his style of shooting. Tosi also talks about the more complicated shots and how they were done. I like hearing from DPs, but Tosi is not a very good storyteller. I found him bland and uninteresting. He knows how to make a scene look good, but can’t keep my attention for fifteen minutes. of the film until he was cutting it. He also talks about the split screen that De Palma employed during the prom scene. He talks about what he thinks makes for good suspense. He also doesn’t watch any of the films that he has edited after they are finished. Wow. Hirsch is a bore to watch. He rambles on and on before getting to the point of whatever story he is trying to tell. He also has a bipolar point of view on some things. 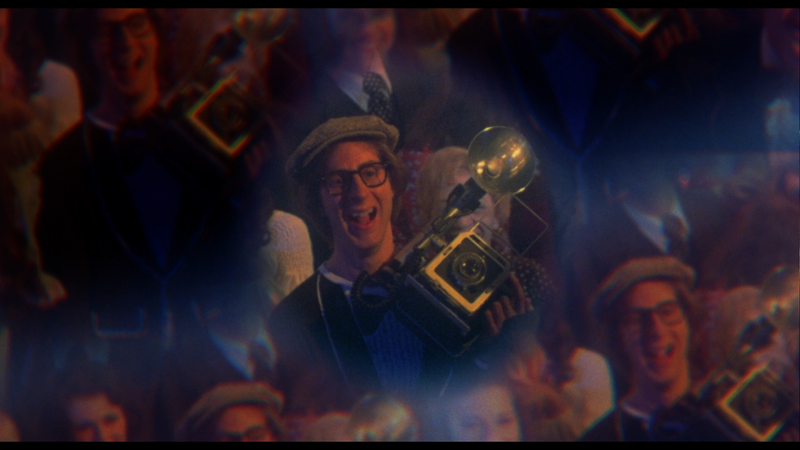 He will talk about how he thinks that the split screen shots are pointless and hurt the film, but then he will talk about how he loves the way the scene turned out. Which is it buddy because you can’t have both. This is a new interview with casting director Harriet B. Helberg. She gives us a rundown on how she cast the film and tells stories about how they finalized the cast. 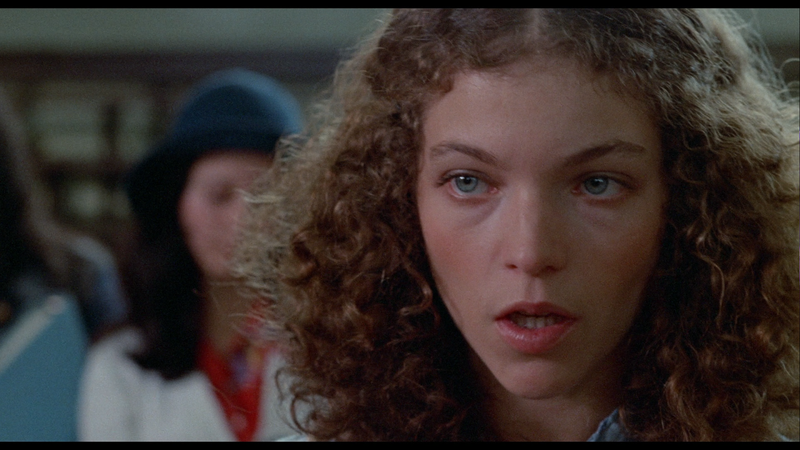 She also dispels the rumor that Amy Irving was originally cast as Carrie. sees hundreds on actors for various roles. That’s it. This is a one of a few featurettes ported over from the Special Edition dvd that was released a long time ago. Here we get stories from most of the main actors, except for John Travolta, and others including Brian De Palma and art director Jack Fisk. Even though this featurette is older, it is a lot better than the new interviews found on this disc. 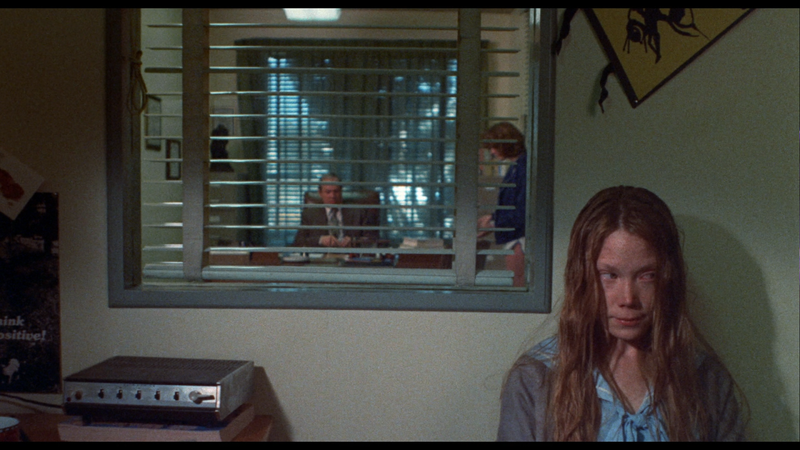 The stories are interesting and it nice to hear from Sissy Spacek and Brian De Palma. I would watch this featurette (and the Visualizing Carrie featurette over any of the new interviews.) over any of the new interviews. This is a new set of interviews with Nancy Allen, Betty Buckley, William Katt, Piper Laurie, Edie McClurg, and P.J. Soles. Outside of seeing what these actors look like now and hearing from Edie McClurg, who I didn’t know was in the film, this featurette is repetitive. All of the same stories told from “Acting Carrie” are told here, sometimes verbatim. When the back of the box said that there “NEW” interviews with the actors here I was excited, but after watching this I became sad. Nothing new is brought to the table and I found myself bored. Watch “Acting Carrie” and slip this one. This is another featurette ported over from the Special Edition dvd. Here De Palma and company talk about the technical aspects of making Carrie. They talk about how they found the different locations and how they used them to their advantage. Again, like “Acting Carrie”, this is another well thought out and edited featurette. Doing some research, I found out that Laurent Bouzereau produced the special features for the Special Edition. That explains why these older featurettes are so good. He has produced some of the best special editions for dvds and blu-rays of the last fifteen years. I wish that he could have done the special features for this release as well. Watch this and skip the new featurettes. This is a new interview with Composer Pino Donaggio. Donaggio has done some really fantastic scores, so I was looking forward to this interview. I was really letdown. Donaggio goes over each of the pieces that he wrote for the film and explains the whys and the hows, but never really drew me in to what he was talking about. It had nothing to do with him not speaking English (subtitles are provided) and had more to do with the fact that what he is talking about is very well known. Again, sounding like a broken record, he brings nothing new to the table. 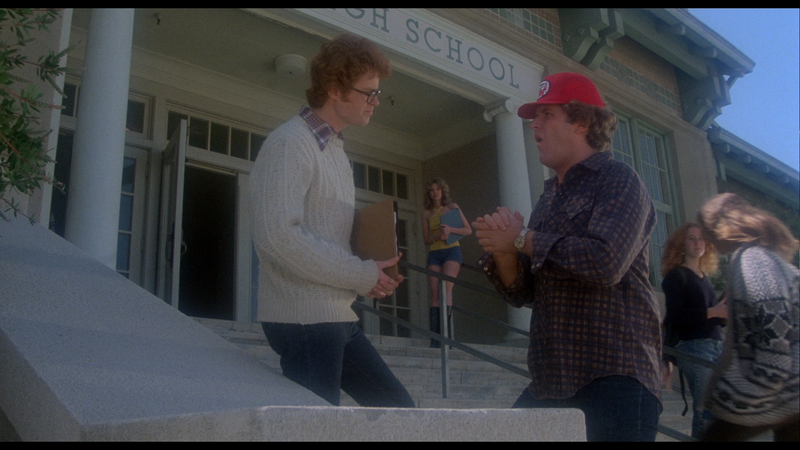 Sean Clark takes us on another tour of locations from horror films. 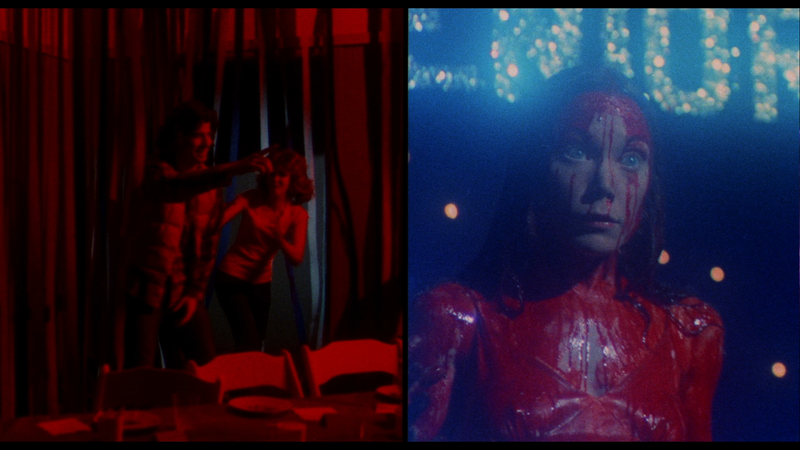 This time he takes us to the locations used in Carrie. The most interesting thing in this featurette is the house used in the film is gone. There is a chain link fence surrounding the property. I don’t normally like these segments, but I found myself enjoying this one. Another port from the Special Edition dvd. 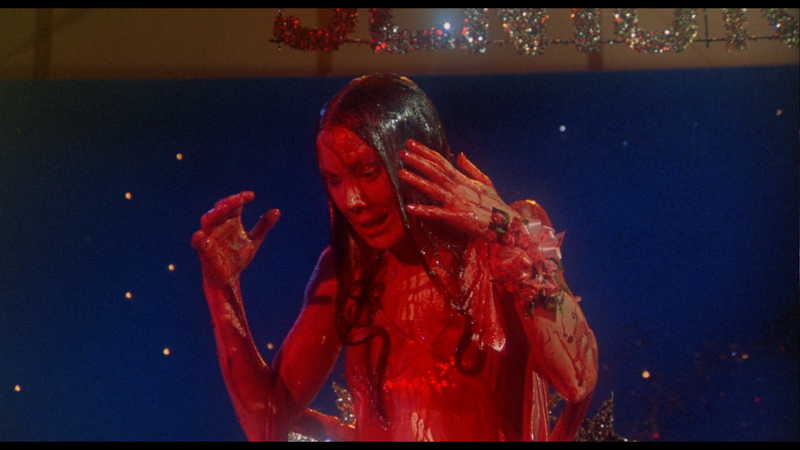 Here screenwriter Lawrence Cohen talks about bring Carrie to the stage in the form of a musical. Again, this info is talked about in Cohen’s more recent interview found on this disc, so this interview is really repetitive. These are really rough, but a fun look at how the film was advertised. The audio is played over a static image and is nice to hear. Some people will be surprised that they use to advertise films on the radio, in between songs. This is a text based telling of King writing the novel and the film being made. This looks like it might have come from the insert that came with the Special Edition dvd, but I could be wrong. 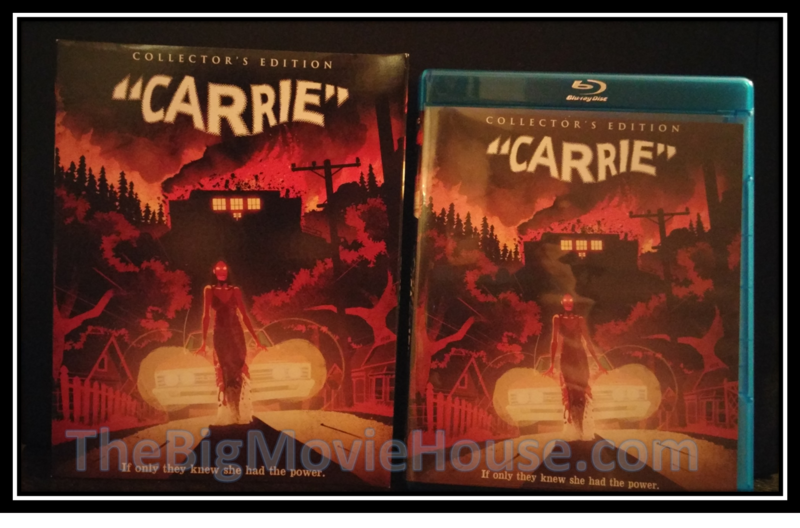 Carrie arrives on blu-ray from Scream Factory in a nice looking package. The slipcover is nice with newly commissioned artwork featuring Carrie walking down the street, covered in blood, with a car approaching her from the rear. 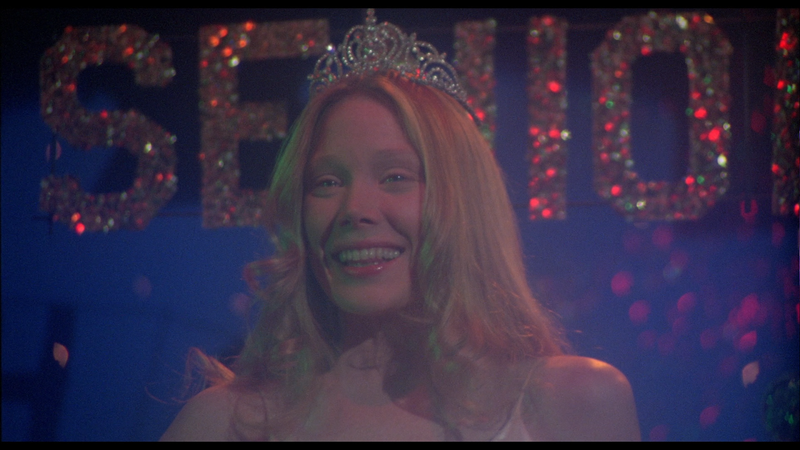 The reverse cover is the film's theatrical poster featuring Carrie pre and post pig's blood with the tag line reading: If you have a taste for terror...Take Carrie to the prom. This 2 disc set comes housed in a non-eco blu-ray case. The discs have artwork that is taken from still shots from the film. I have always liked Carrie. 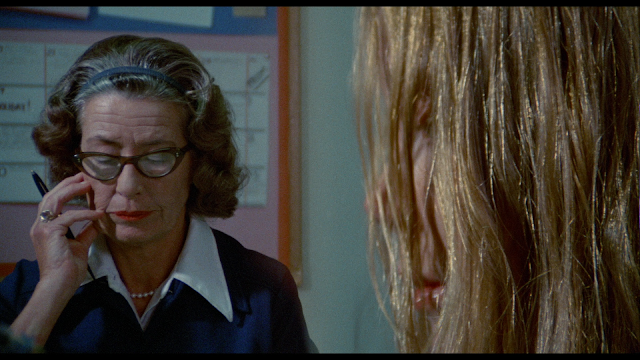 From the moment my mother showed the film to me when I was a kid, I was able to sympathize with Carrie’s troubles. That is where the power of this film lies. 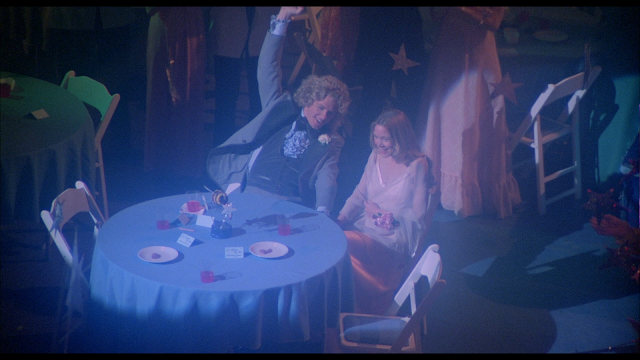 It isn’t the prom scene nor is it with the build up to the prom. It is the characters that give the film its strength. Director Brian De Palma knows that his characters are incredible important to this film and gives them all their own spotlight. We know that Carrie is the shy, awkward girl who is consistently made fun of by her peers. Once we know that Carrie can move things with her mind, we want her to get her revenge, not because we want to see how creative the filmmakers are (which they are), but we want to see her happy. We know it won’t happen, but we can hope. We know that her mother is a religious zealot who is constantly praying and trying to get others to pray. She is not a good mother and believes that everything that happens needs to be prayed on. She is just one of many who find themselves on the wrong side of Carrie and could have prevented most of the things that happen in the film. The “heroes” of the film are not so black and white and neither are the “villains”. 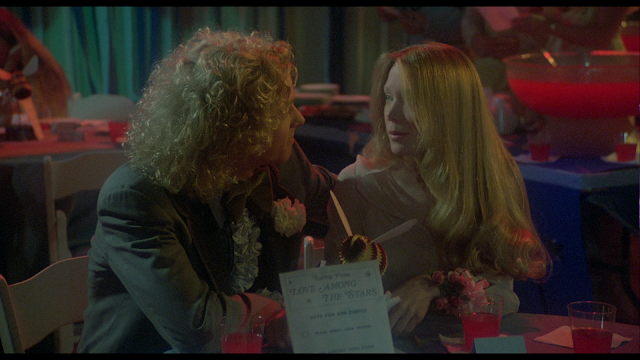 Chris (played by Nancy Allen) is pretty evil throughout the film, but when she sees what is happening to her peers as a result of her idea of the pig’s blood, we sees hear reaction and she looks scared. 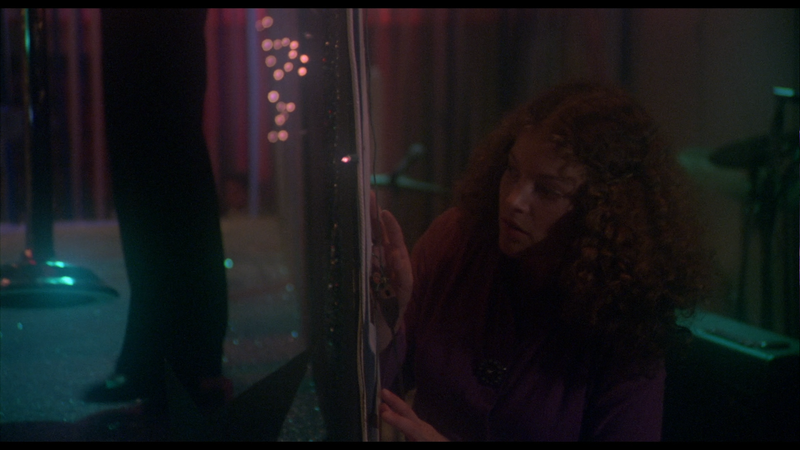 De Palma doesn’t show us anything of Chris after that (except when the car she is in is rolling over and blowing up), but it would have been nice to see her confront Carrie. The explosion that Chris dies in is a nice sendoff though and she deserves it. The acting in the film is better than you might think (or remember). Sissy Spacek creates a very sympathetic character that we get to know and love. She is quiet and shy, but you can tell that something is going on with her. Spacek plays Carrie as turtle who is constantly in her shell. She is given one time to shine, when she is taken to the prom, and you can see when her date gets her to come out of her shell, that she is having a great time. Sure, she doesn’t want to dance, but when she does she is thankful for the opportunity. When the pig’s blood is dropped on her, she goes into a calculating mode. She believes that everyone is laughing at her (even though not everyone is) and she targets those who have made fun of her in the past. She gets the principal constantly forgets her name, but she also kills the one of the only persons who was nice to her, the gym teacher. 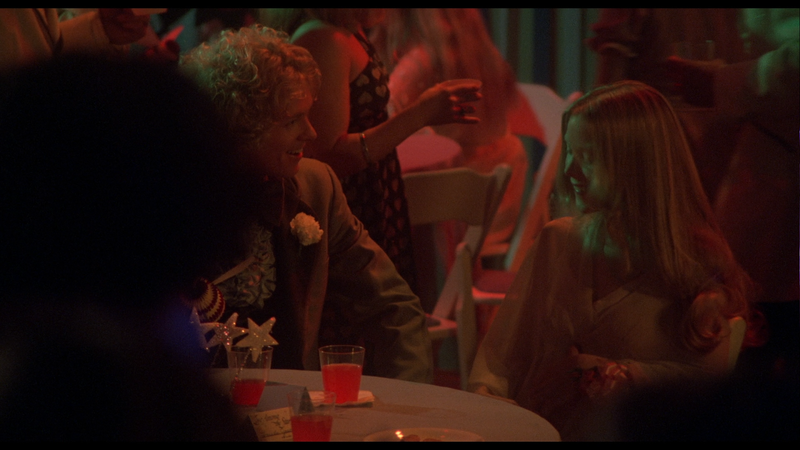 Once Carrie goes home, she becomes the nice, shy girl again. 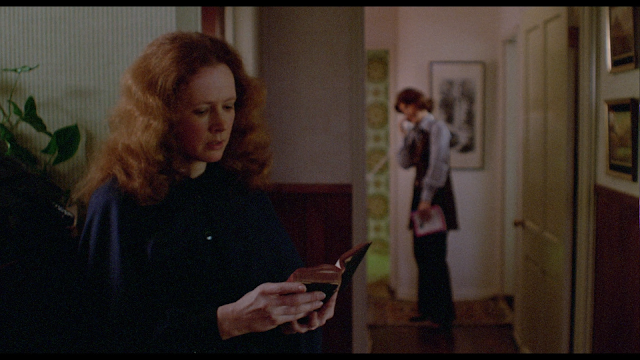 Piper Laurie plays Carrie’s mother and what a performance it is. The way she says “They’re all going to laugh at you” is haunting, but the rest of her performance is weird (but still amazing). Laurie at times seems to be playing the character straight, but there are other times when it seems like she is trying to ham it up. This is the case, but a character like that (I have known a few people who were like this) had to be operatic and over the top. These would be the only ways to get her point across. To see this in the film can be funny. To see it in real life is scary. Laurie knows this and plays into the scariness. year (1976 was the same year that Network was released and gobbled up all the awards.) they would have had a chance. It is a shame though, because these are amazing performances that are often overlooked when talking about the film. The direction is spot on as well. 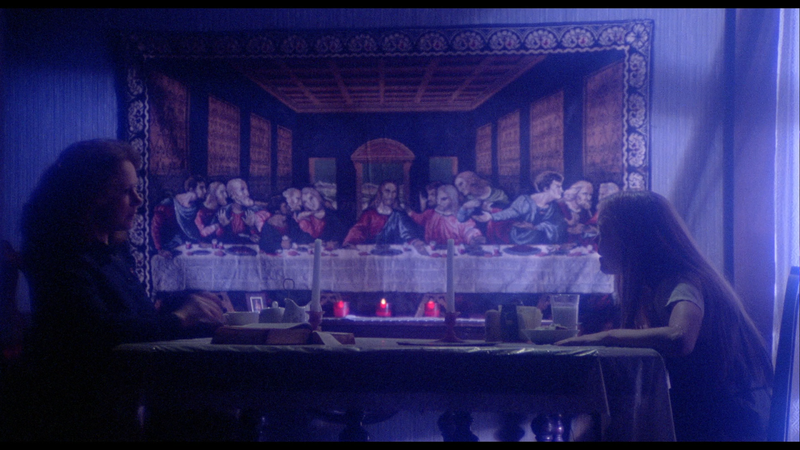 De Palma and DP Mario Tosi create a film that is very dreamlike. There are scenes where the brightness blows out into areas of the frame, but then there are other scenes where it is supposed to be real. I like this dichotomy because it showed that there is some good in Carrie’s world. The highlight of the film is obviously the prom and it is a bit disappointing. The build up to this scene is beautifully handled, but once the pig’s blood is dropped, the film becomes standard fare. 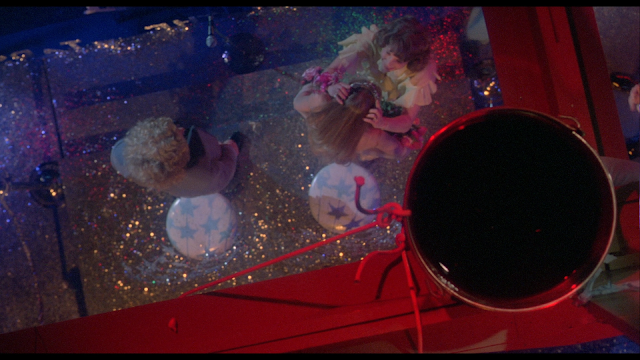 De Palma is usually able to match his insanely detailed build up with an equally awesome scene, but here he seems to have spent it all on the build up. There is nothing wrong with that, it is just that everyone talks about the carnage when they should be talking about how De Palma got us there. 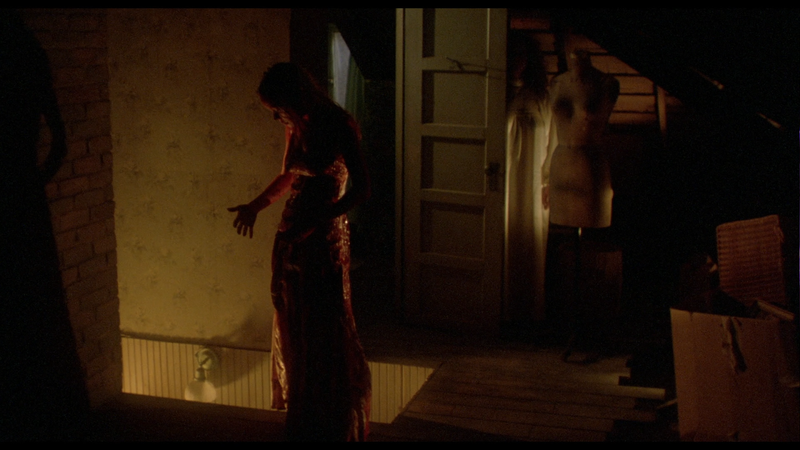 Carrie is a classic, but a flawed one. The performances are amazing, the filmmaking is strong, and the overall feeling is good. I think that the film is talked about in too high of a regard. Had this film come out five or ten years later, the film would have been a lot different. 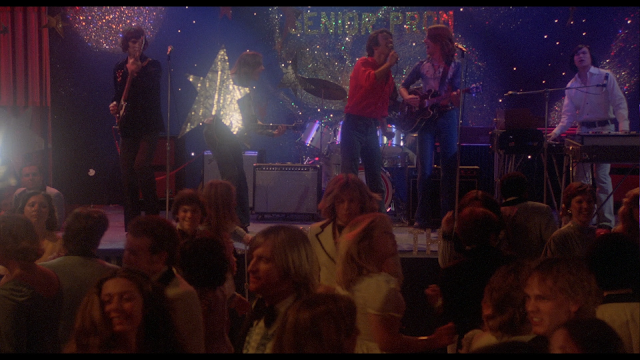 The prom scene would have been longer and more graphic, but the characters would have been lost. We wouldn’t have gotten anywhere near the performances we got. I wish that the prom scene would have been better, but what we have is still very strong and very memorable. 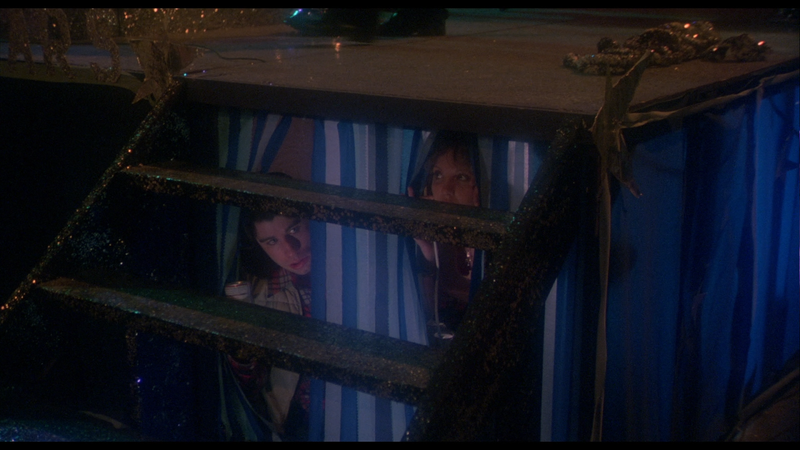 Carrie is a really good film, but the blu-ray from Scream Factory leaves much to be desired. The brand new 4k transfer is amazing. The film has never looked better. The special features are another story. The features ported from the Special Edition dvd have aged well and give us a nice look at the making of the film. The new features, however, are not very good. Scream invested a lot of money into stories that are constantly rehashed and frankly boring interviews. It doesn’t seem like the ones conducting the interviews are asking any questions. It seems like they are just telling the interviewees to tell us the story from the beginning. Doing this allows the interviewees to ramble on. It should be quality over quantity, not the other way around. I would wait for a sale on this one.